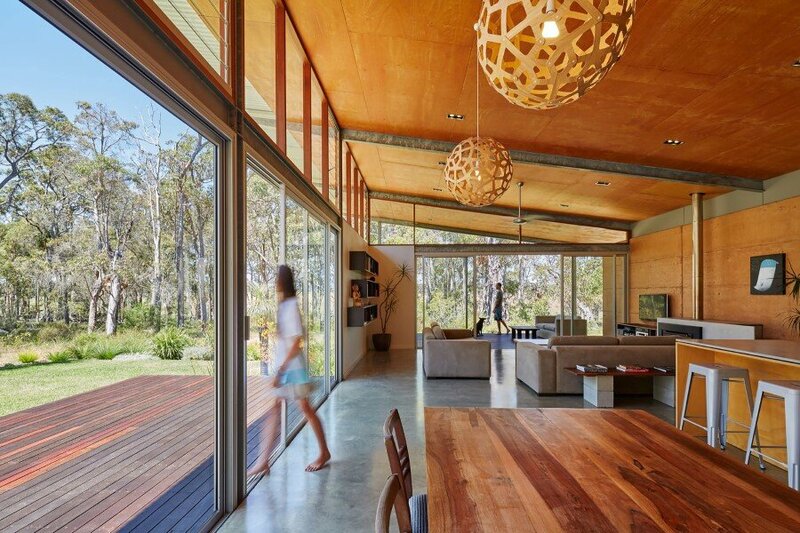 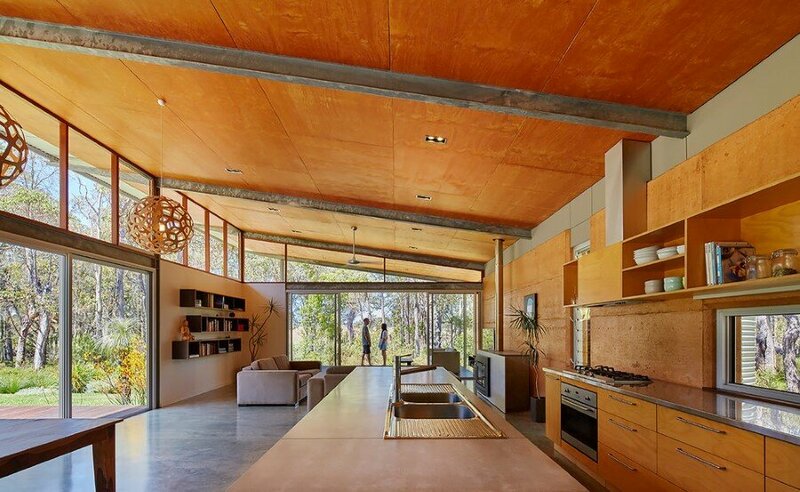 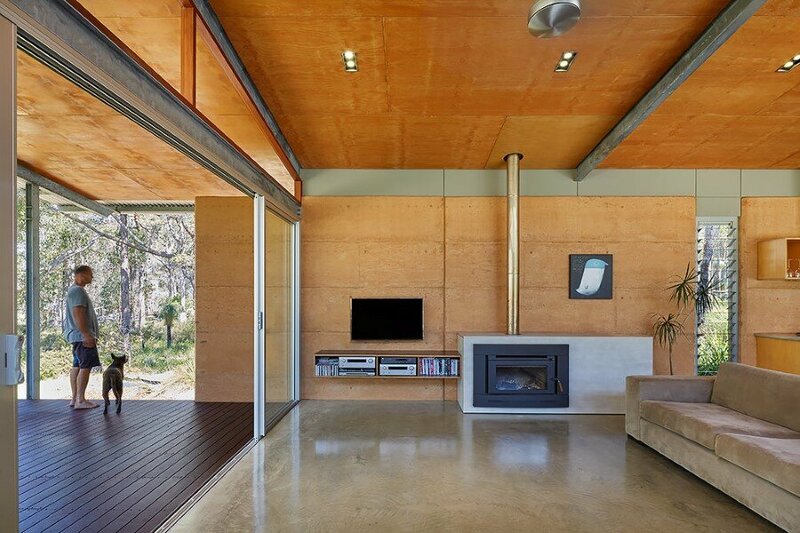 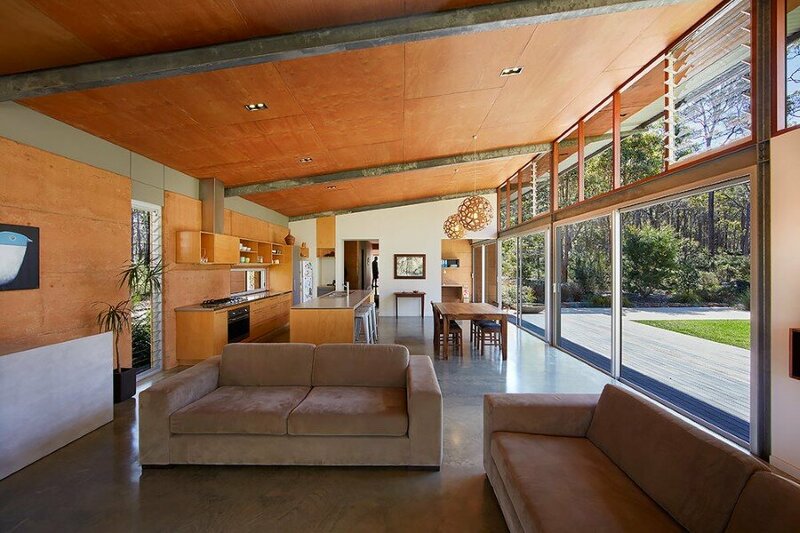 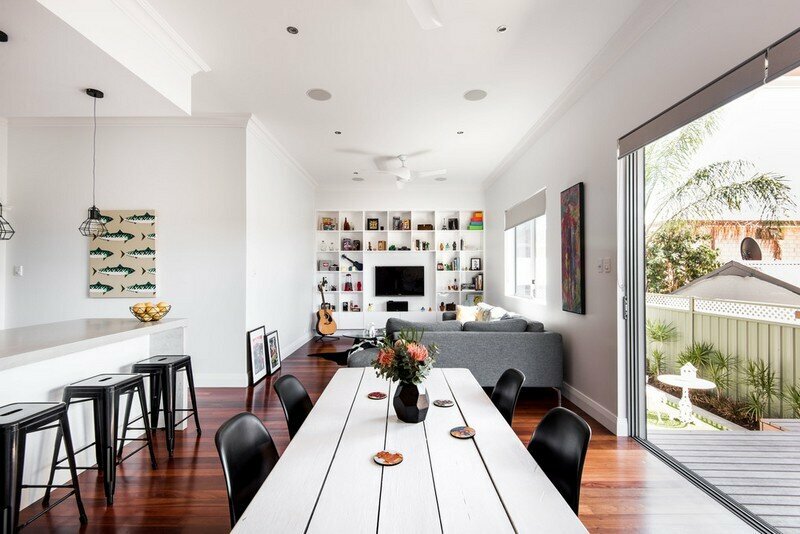 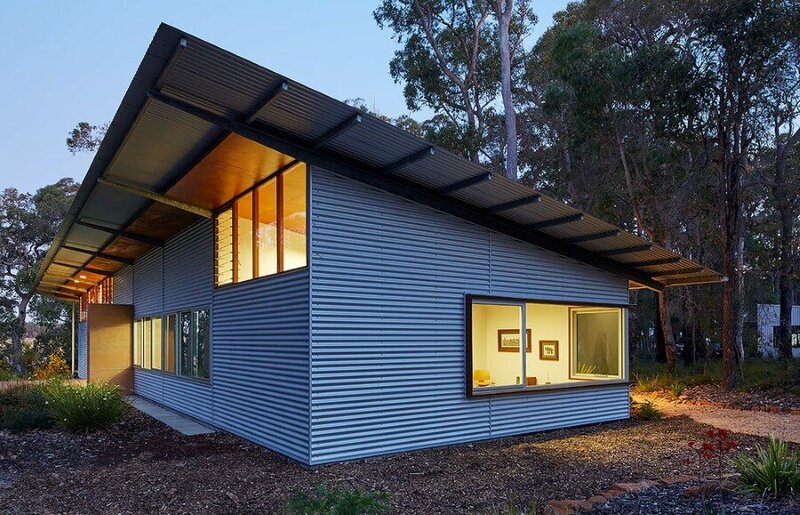 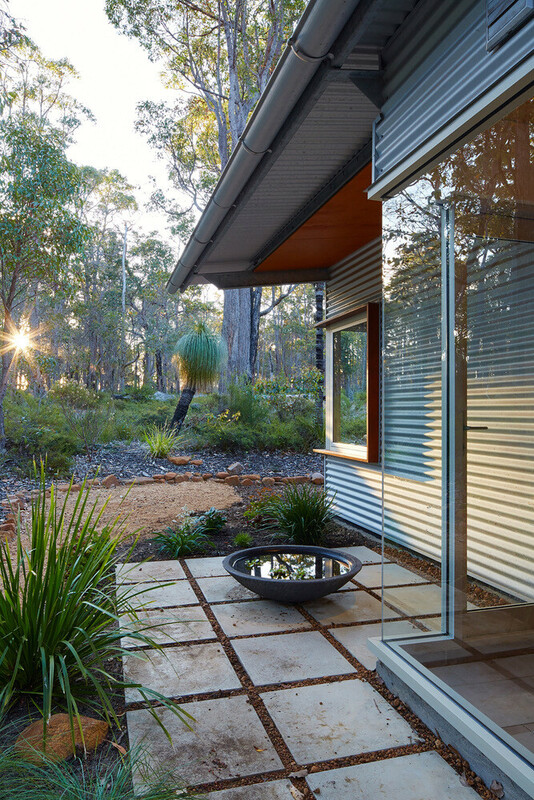 Archterra is a small architectural practice located in Margaret River, Western Australia. 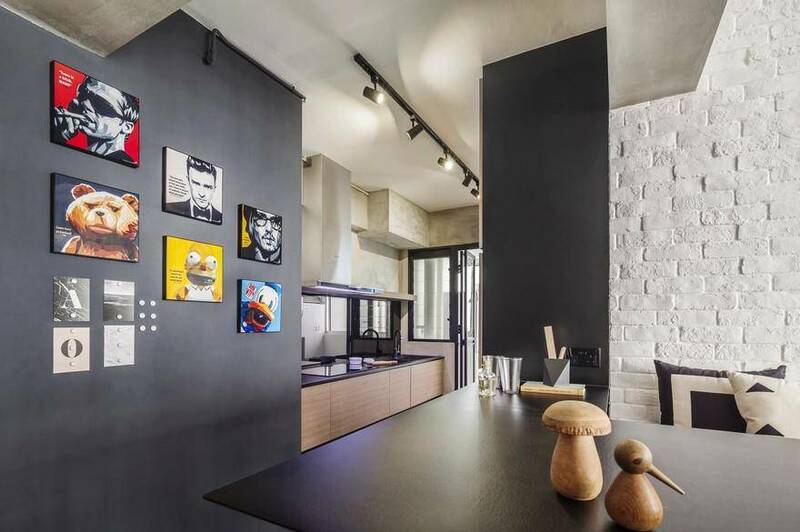 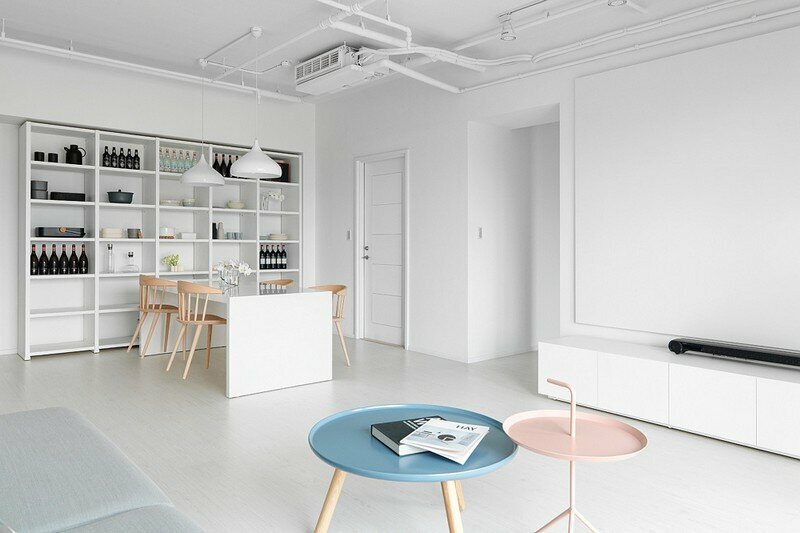 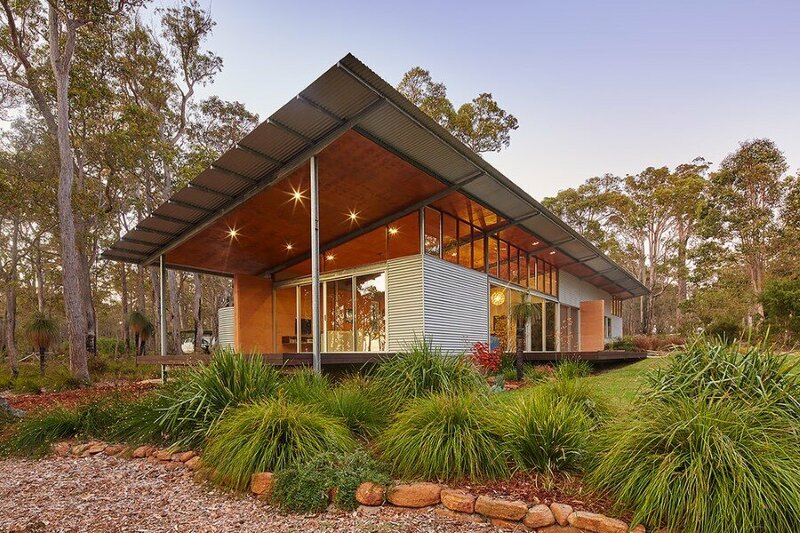 Designed by Archterra, Bush House is a single family house with an area of 168 square meters, surrounded by nature and flooded with light. 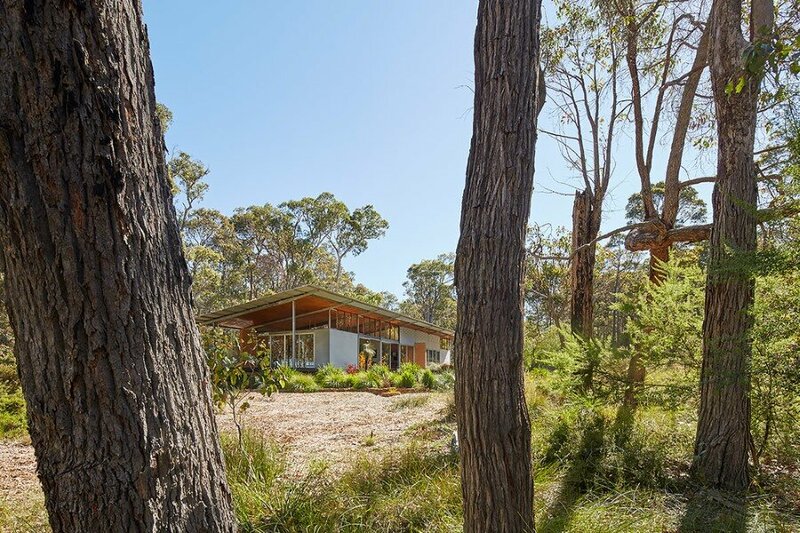 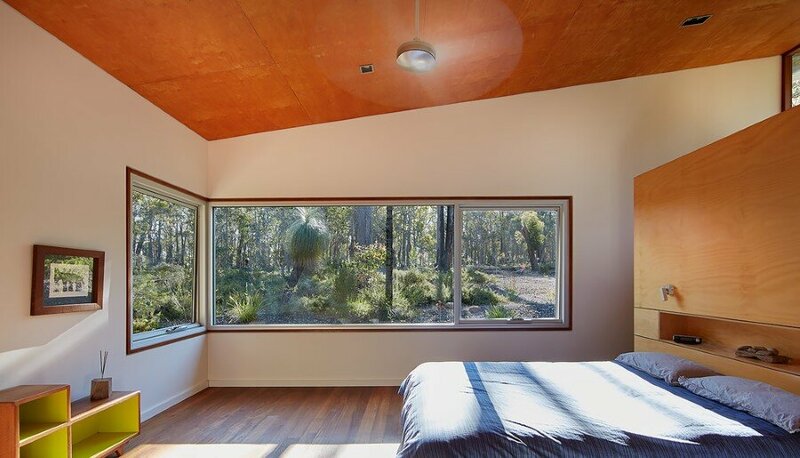 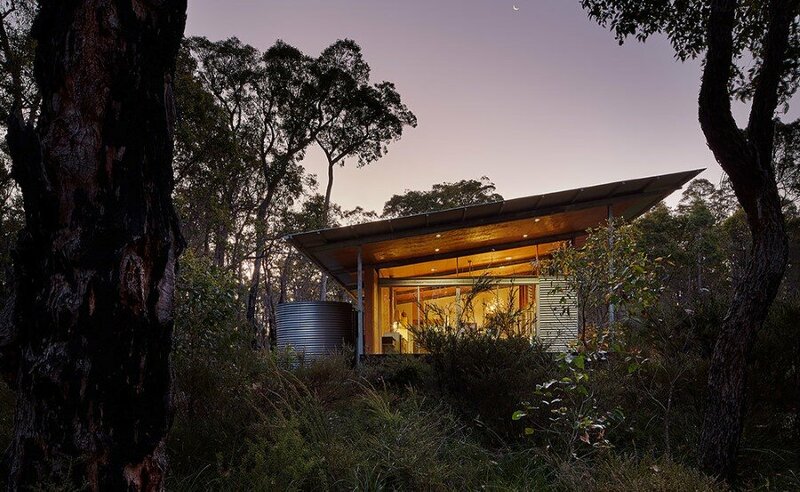 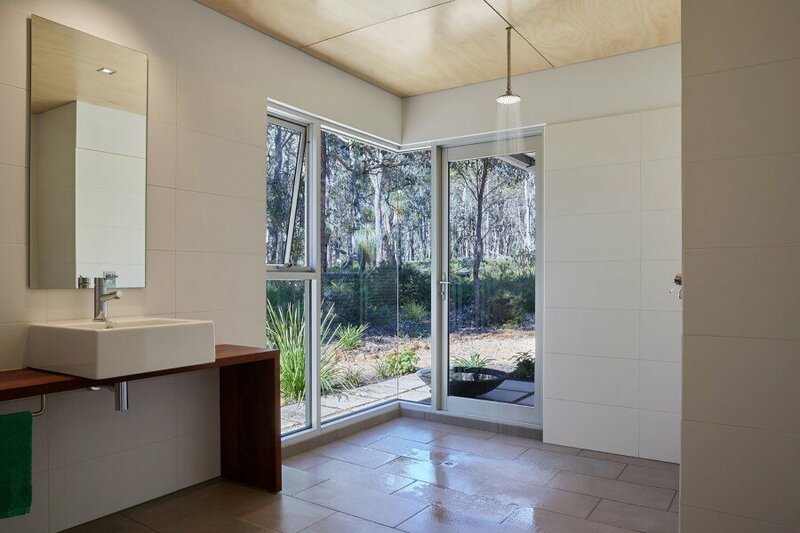 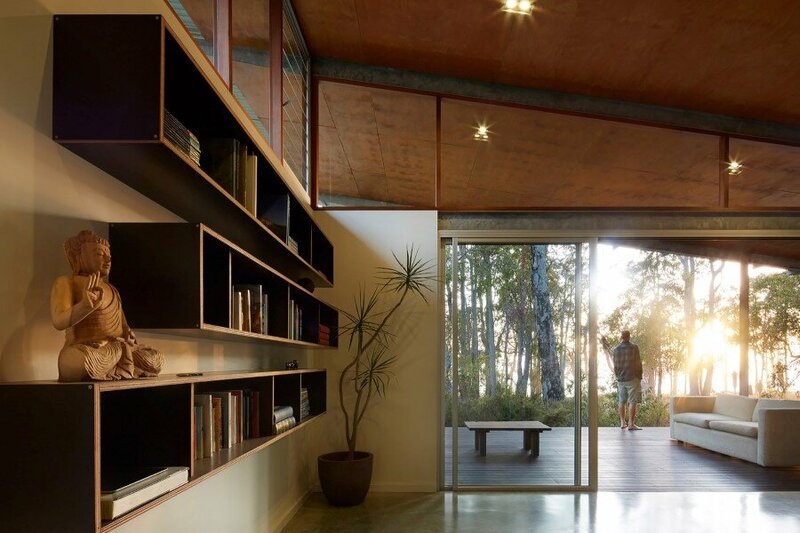 Located in an existing clearing within a section of remnant marri/ jarrah bushland this owner-built bush pavilion seeks to distill into built form, the feelings of camping under a simple sheltering tarp. 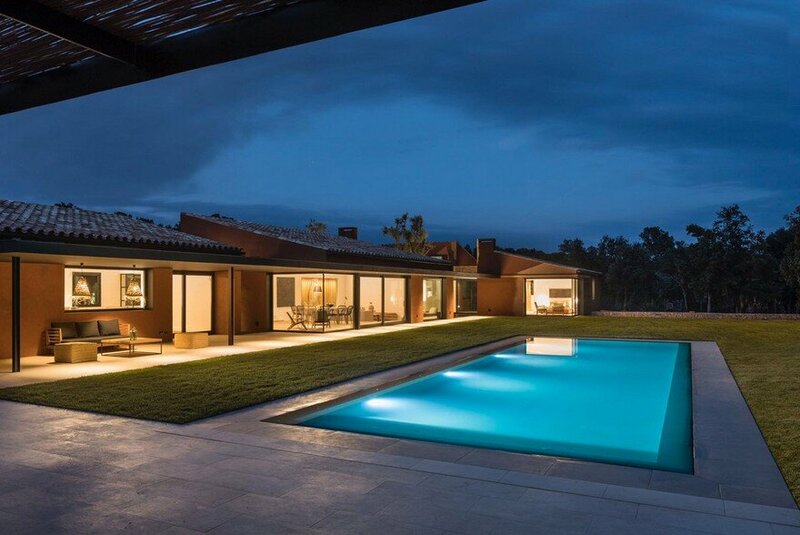 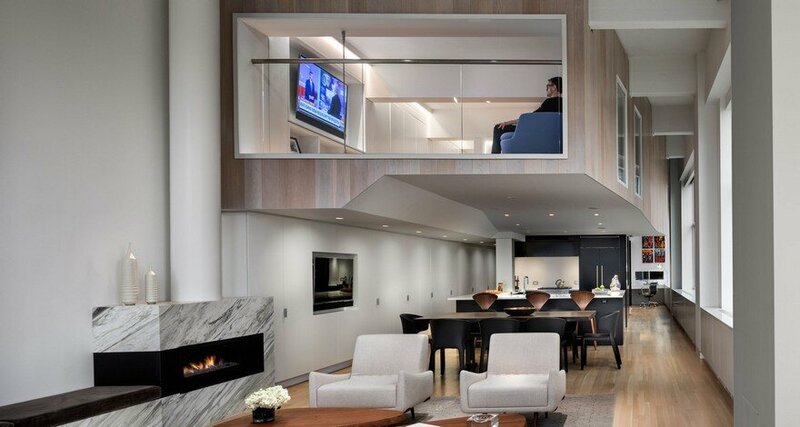 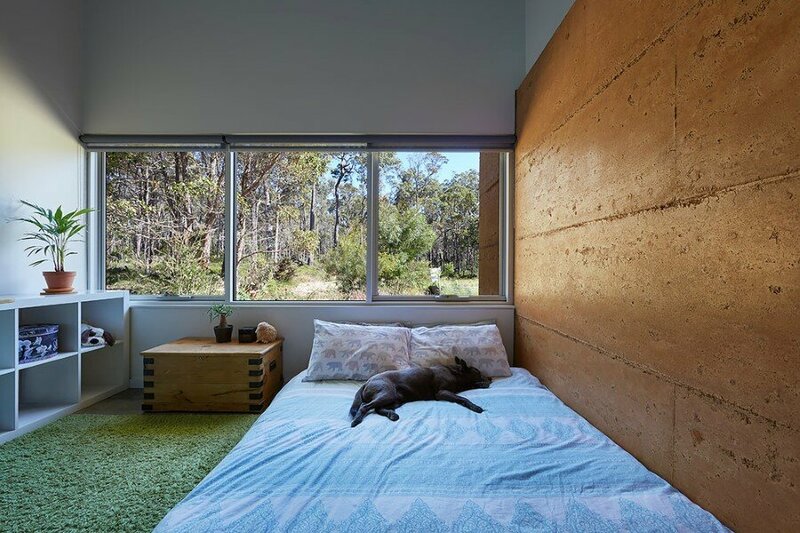 Diagrammatically, the houses’ simple rectangular plan is separated east-west into sleeping and living zones and delineated by a change in floor level and a grounding rammed earth wall that continues thru the house into the outdoors. 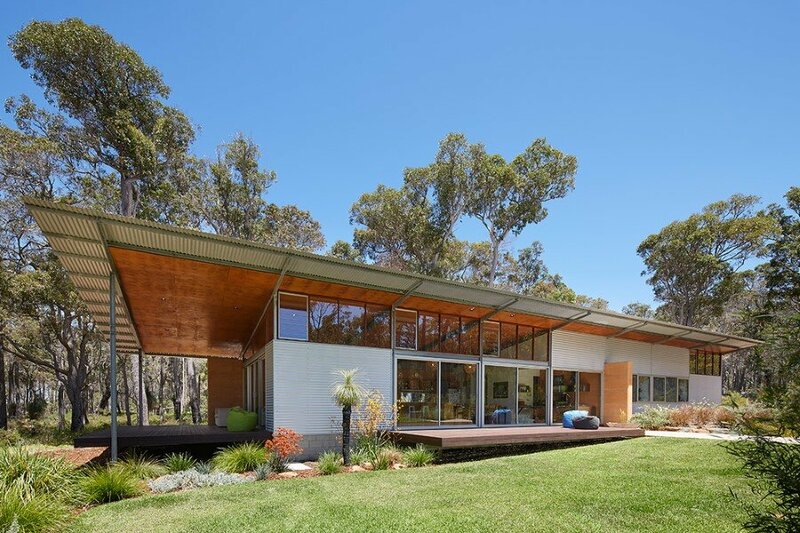 Taking cues from the Californian cases study houses of the 40s, 50s and 60s, a 3.6m structural grid locates prefabricated steel frames that enabled the main support structure to be erected in a day and for infill timber framing to be subsequently carried out by the owner-builder within these frames under the protection of a simple single roof plane. 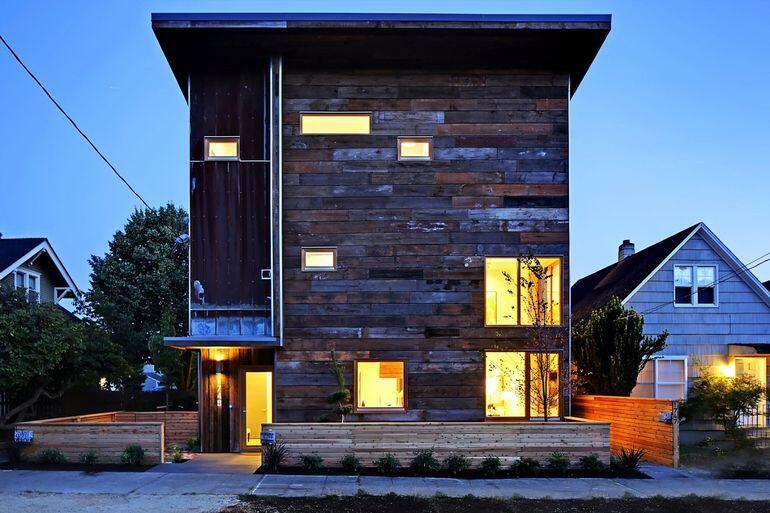 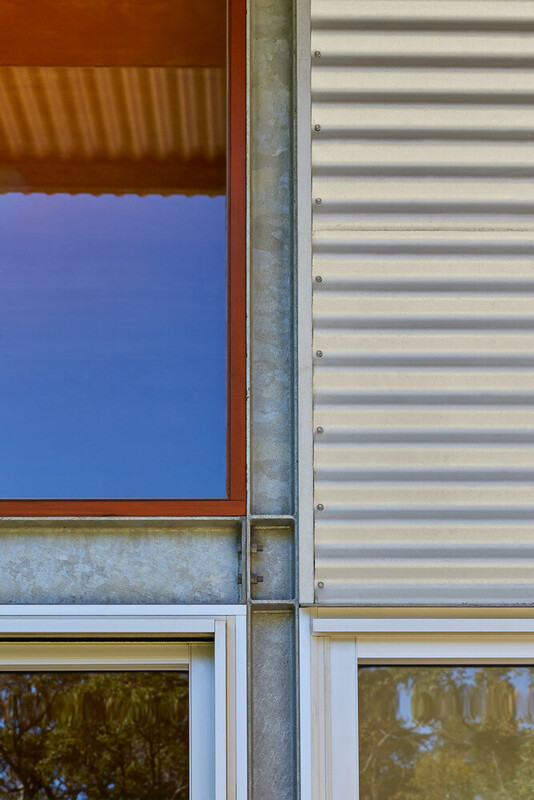 The galvanised steel framing is expressed both internally and externally and its mottled patina continues to change as it ages. 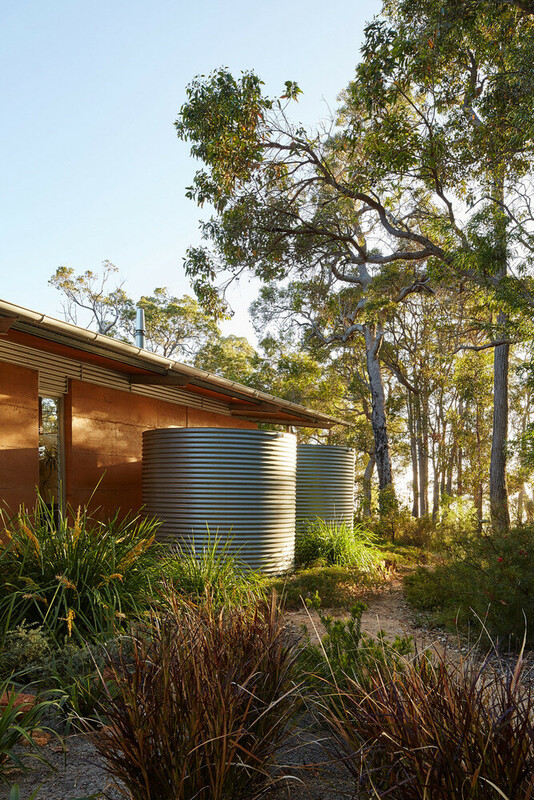 Environmental sustainability is intrinsic to the design: passive measures such as efficient cross flow ventilation for summer cooling and calculated eaves overhangs for warming winter sun penetration are teamed with active measures such as power self sufficiency from a 3kW ground mounted solar array, a solar hot water system and a worm farm blackwater filtration system that irrigates the garden with nutrient rich water. 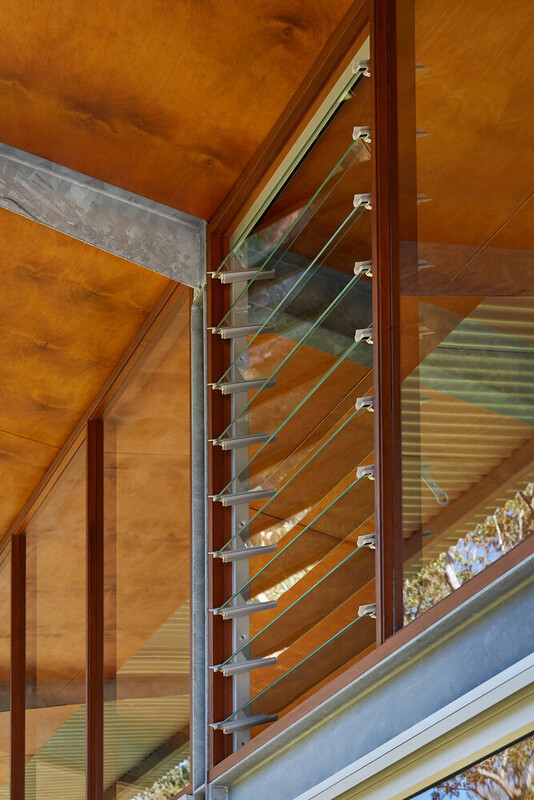 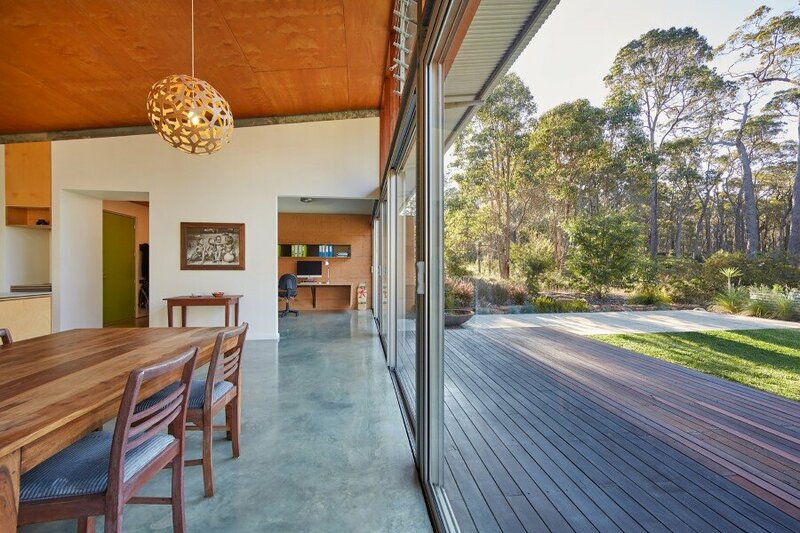 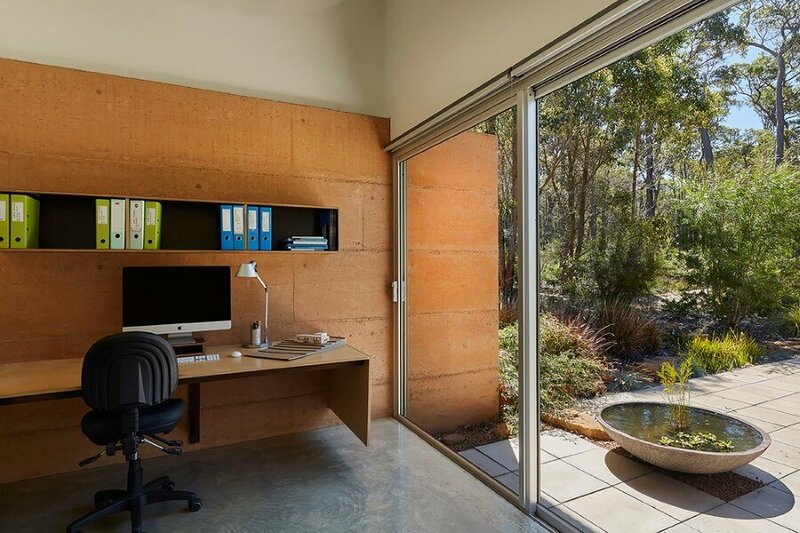 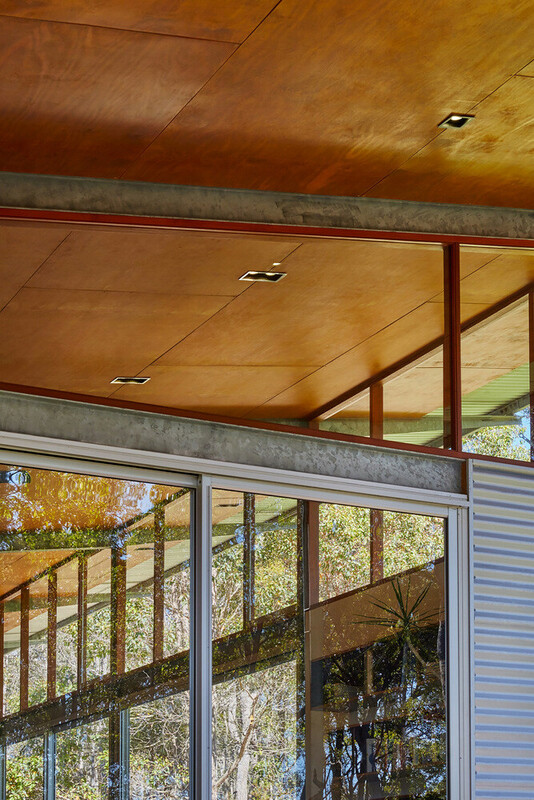 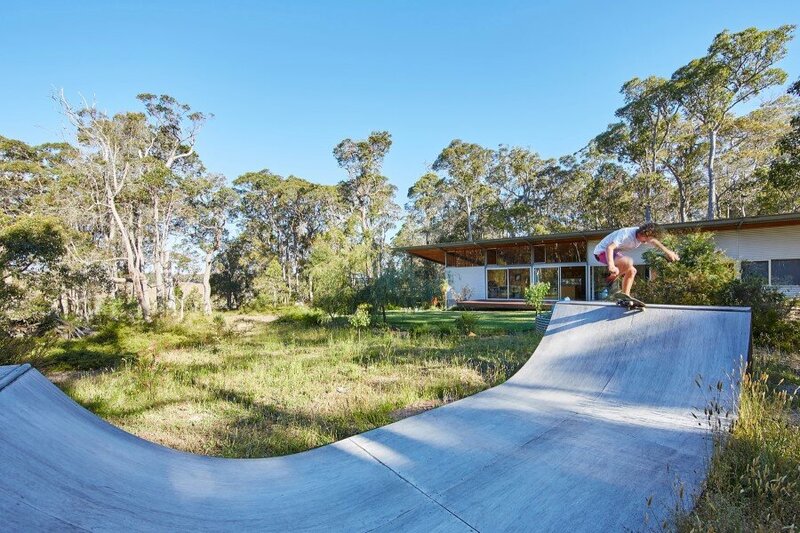 External materials were selected to be largely self finishing to minimise maintenance: zincalume steel, rammed earth, glass – all decking is recycled jarrah.